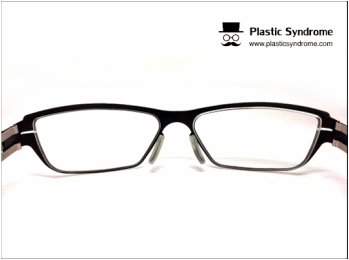 At Plastic Syndrome, we understand that people often get attached to their glasses. 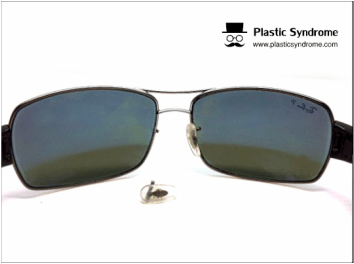 Whether your favorite sunglasses broke, or your prescription glasses are coming apart, most people do not want to buy new glasses unless they absolutely need to. On top of all this, it is difficult to find a frame that is comfortable, yet stylish, and looks good on your face. So when you find one, you no doubt want to make sure that you get to use it for a long time. The number of glasses that our experts receive, which have been put back together using duct tape of craft glue only serve to highlight out point! You love your glasses, and would want it to be fixed, rather than replaced. This is where Plastic Syndrome can help you. We will fix your metal framed glasses using the very best laser welding machines, and make sure that you get your glasses back as good as new. Laser welding is a quick and easy way to put back together your favorite glasses. It is especially useful for titanium frames, which do not weld properly when a regular flame is used. 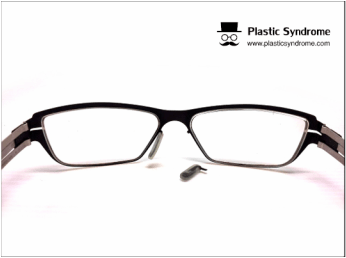 Plastic Syndrome makes sure that whether the glasses have snapped in half, or the arms have come apart from the joint and needed to be put back together using tape, just ship in your glasses to our repair centre and we will make sure that you get back in perfect condition. Why opt for laser welding? Laser welding works! It is quick, it is efficient, and it is durable. Instead of using another metal to join the two broken pieces, a highly intense beam of laser melts and fuses the broken parts. 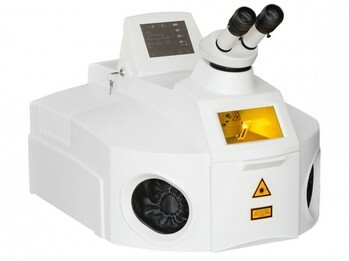 This laser beam is used in pulses that last only a few milliseconds, but expertly repair the damage. There is hardly any discoloration once the welding process is complete, simply because the heating and cooling process is over in under a second. It is incredibly difficult to tell that your glasses were ever broken, and gets to continue using them for a long time to come. All these reasons and more are behind thousands of people opting to have their broken metallic frame glasses repaired. 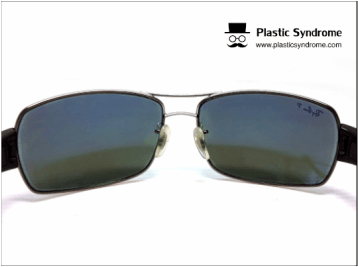 lastic Syndrome does its best to make sure that you do not have to waste any time in getting your glasses repaired. If you are in Sydney, you can book a walk-in appointment and just visit us at our studio for a quick repair job. For other locations you need to only mail your glasses in, and we will fix it and mail it back to you. The service is available to not just Australian users, but international ones as well! Find out exactly how much the repair will cost you before you commit. Get a free quote that tells you not only the amount that you will be charged, but also the time period within which you can expect to have your glasses back. Once you have this information, and want Plastic Syndrome to fix your glasses, then we are ready to serve you! TRY TO GET A FREE QUOTE NOW!